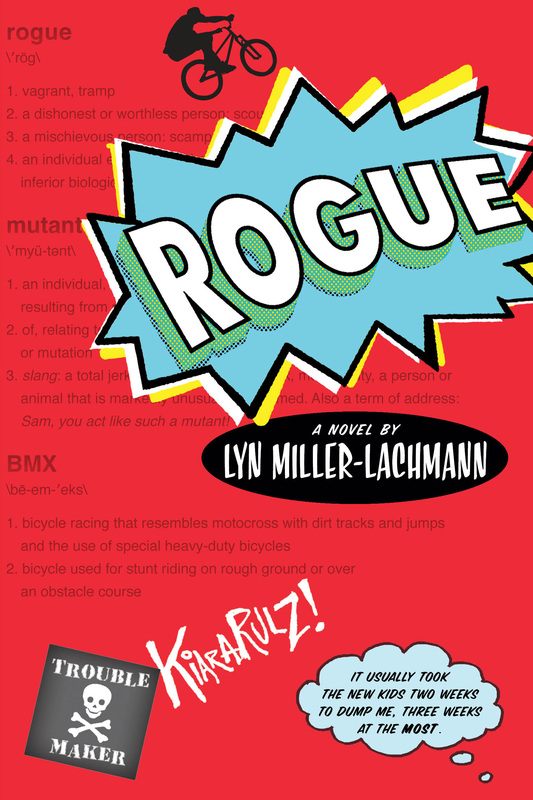 As promised, author Lyn Miller-Lachmann is back with a guest post on bullying—an issue addressed in her latest novel ROGUE. Take it away, Lyn! Earlier this month I attended an anti-bullying workshop in Albany presented by the Anti-Defamation League, the organization known for its “A World of Difference” diversity training. Combatting bullying in K-12 schools is a new initiative for the ADL, one prompted by the rise of cyberbullying and the rash of suicides of young people targeted by bullies. Even though I got into the workshop because I teach part-time in a religious school program, I was more interested in this workshop because I experienced relentless bullying as a child and teenager, and both my recently-published novel, Rogue, and the one I wrote after Rogue begin with a bullying incident. My difference as someone on the autism spectrum made me the target of bullies. Although I wasn’t officially diagnosed until adulthood, my atypical behavior—which included crying at the slightest provocation and having full-blown meltdowns when situations escalated—gave bored classmates endless opportunities for entertainment. In between provocations, however, I mainly experienced neglect and exclusion. I received few invitations to parties and was rarely chosen for teams or for leadership positions in school activities. Once, when I did become a committee chair in my temple youth group, an officer removed me several months later to give the position to one of her friends. Although I encountered physical and emotional bullying, my protagonist in Rogue, Kiara, mainly experiences exclusion—first from the popular girls who push her lunch tray from the table, and then from the school that suspends her because she fights back. For much of the story, she sees herself on the outside, with her nose pressed to the glass of a world she cannot enter. While much of modern-day bullying occurs on the Internet, Kiara is so disconnected from her peers that she remains unaware of what they might be saying about her, at the same time as she trolls websites anonymously for advice on how to make and keep friends and information about a world she doesn’t understand. At the ADL workshop, the presenters introduced us to the social norms approach as a way of reducing the incidence of bullying in schools. This approach was first developed in the late 1980s as a way of reducing binge drinking in colleges and universities. 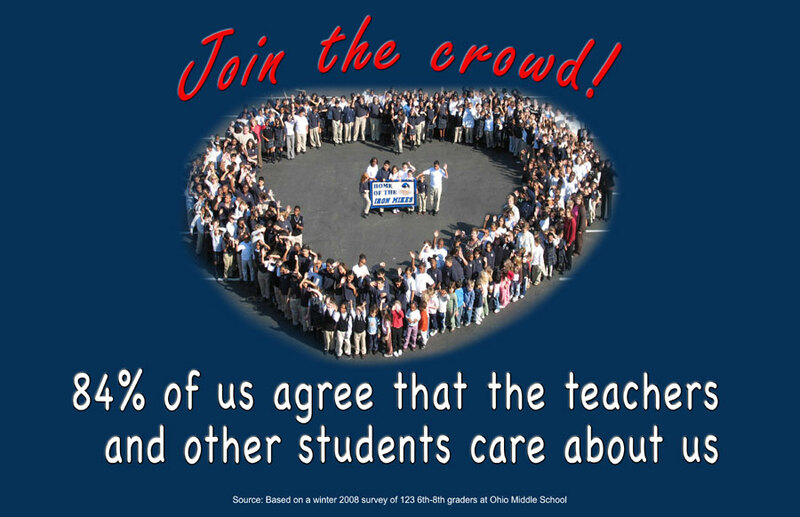 The idea is to counteract the belief that “everyone does it” with actual statistics showing a small minority of students engaging in this dangerous practice. Once students see that binge drinking is an infrequent and extreme activity, peer pressure to drink will turn into peer pressure not to drink. But it’s not the same. To begin with, the individual takes action to drink while being an outcast is something others do to the individual. And while using social norms to rein in problem drinking has proven effective, social norms are part of the problem in dealing with individuals and groups who have already been put out of the pack. My different perspective on the subject of social norms comes from personal experience—the kind of personal experience that went into the writing of Rogue. 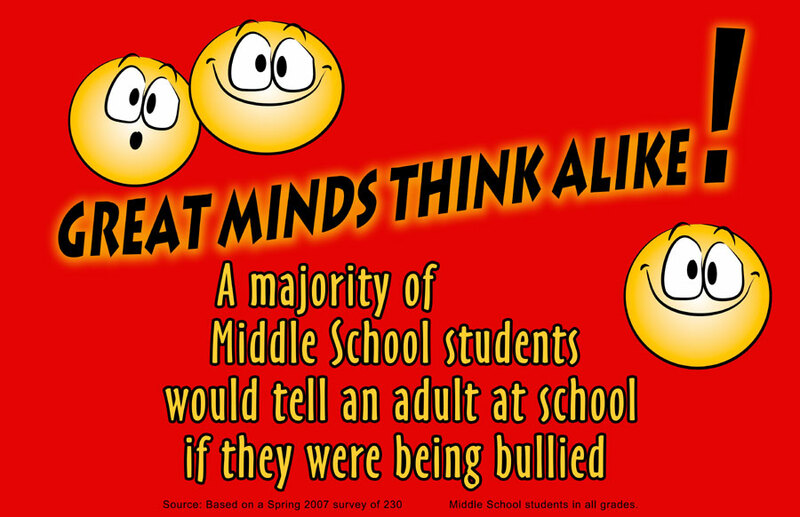 This different perspective is important if we want to eliminate bullying in schools and in society. A social norms approach is not the answer, unless we also include an understanding of and appreciation for diversity—including neurodiversity (http://en.wikipedia.org/wiki/Neurodiversity )—and a commitment to giving everyone a place of dignity, respect, and importance. And that means a genuine commitment, not giving an answer that the person doing the survey wants to hear but reaching out to people who may be isolated and difficult to reach. For that person who is different may be the one with the special talent to offer, or the solution to the problem. One could read that last poster with this thought: and the other 16% know better. likely comes from my childhood, more than my daughter’s experiences today. I hope that there were people who listened to your perspective and have taken it with them to utilize it in order to create campaigns that can/will help. I hope so too, L. There’s nothing more disheartening that to see in raw numbers that your experience is not considered valid because it’s not the “norm.” I read today that students with special needs in New York City were four times more likely to be suspended (as my main character in Rogue is–though she lives in a small town and not New York City), expelled, or referred from school to the criminal justice system. The numbers for Latino students and African-American students were even higher.